Listed below are some of the pumps and equipment that we currently have in stock. 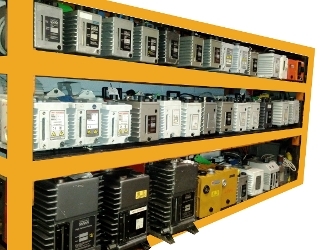 All are fully serviced and tested. If you wish to purchase equipment that we have not listed, please contact our Sales Team. It is advisable for you to tell us the intended use, so suitable equipment can be selected by us and fitted with any necessary protective filters and accessories.